to buy goats and cows to resell. Grace benötigte 500 US-Dollar, um ein Gewerbe im Bereich Landwirtschaft auf- oder auszubauen. Das Geld wurde gesammelt und für Grace bereitgestellt. Grace is 66 years old. She is a widow and blessed with three adult children. Her business is farming and livestock selling, which she has been doing for 24 years. This is her 10th loan, which she will use to buy goats and cows to resell. She will use the profits from her expanded business to buy a dairy cow. 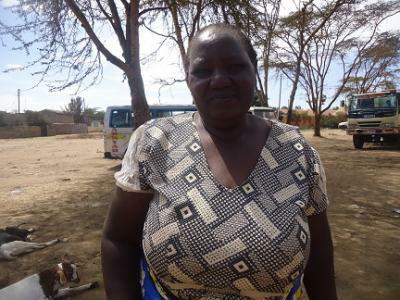 Her hopes and dreams are to have a profitable, large-scale farming business.